VHTL Technology – FluidOil Corp.
FluidOil has successfully combined two patented technologies into VHTL – Viscositor Heavy-to-Light. The technlogy takes the extensively engineered mechanical systems of Heavy-to-Light “HTL” and combines it with the three Viscositor reactions into the HTL process. The result is a core technology based on Viscositor, with the mechanical and ancillary systems being HTL. 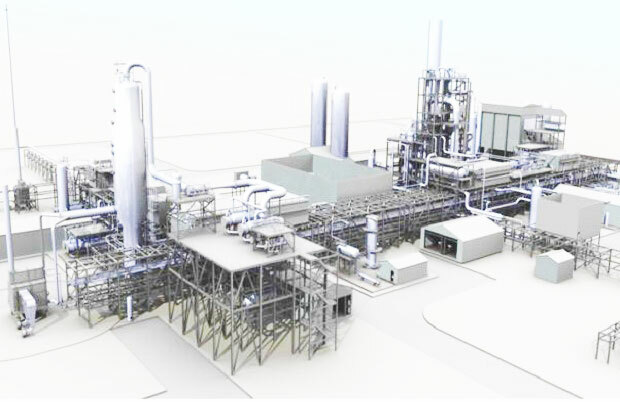 FluidOil Limited successfully tested the combined technology on its V25 Pilot plant in Coryton, London. These tests demonstrated that the core elements of VHTL worked as expected, with the results consistent with those seen on the original Viscositor technology. In 2016, FluidOil acquired the Intellectual Property rights of a patented process known as HTL from Ivanhoe Energy Inc, a Canadian company. 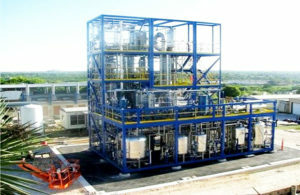 Ivanhoe was commercialising the HTL technology which incorporated Ensyns RPT© reactor technology. The technology was studied extensively during early pilot plant work and then validated by successful operation of a 1,000 bpd Commercial Demonstration Facility (CDF) in Bakersfield, California. 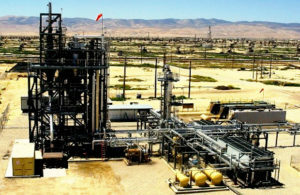 Testing of heavy crude oils in the CDF proved the scalability of the HTL process and provided key design information for the first commercial basic engineering design package (BEDP) and front-end engineering design (FEED) of FluidOil’s initial projects, including a large SAGD project in Alberta, Canada. Independently, FluidOil developed a proprietary upgrading technology call Viscositor. 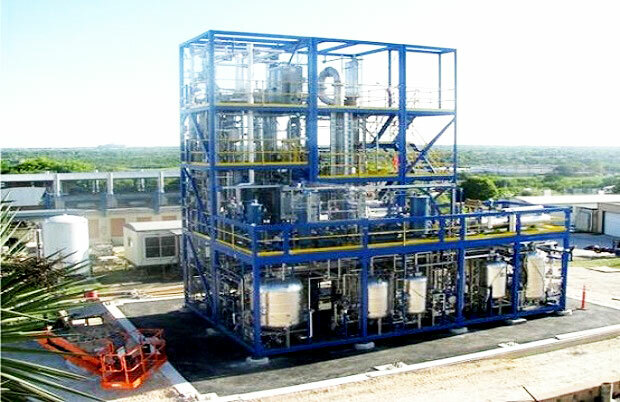 It was based around a simplified version of Fluidised Catalytic Cracking technology (FCC), with the key differences being lower reaction temperatures, lower atmospheric pressure and the use of readily available sand instead of expensive catalysts. 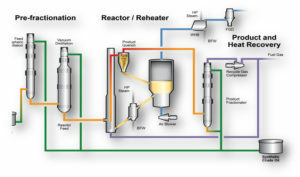 The Viscositor reactor promotes three key reactions: thermal cracking, mechanical cracking and hydrogenation. The difference to HTL being the hydrogenation reaction and far greater mechanical cracking. The development was completed in Norway with SINTEF, a leading independent research organisation. In January 2017, further testing on the combined VHTL technology started at FluidOil’s Feedstock Test Facility (FTF) at the Southwest Research Institute in San Antonio, Texas. Tests are designed to further improve the VHTL process for a range of heavy oil feedstocks. 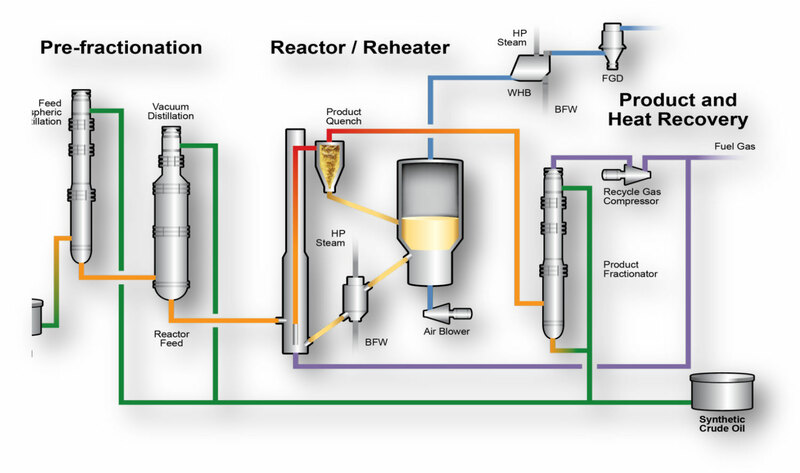 The FTF is designed to model and mimic the commercial VHTL process, but at a reduced capacity, making it feasible to rapidly test smaller batches of heavy crude oils. It is equipped with a state of the art process control and measurement system that maximizes quality of data collected, validates technological advancements made to the VHTL process, and supplies critical data to be used for commercial design. Testing programmes in the FTF are being used to prove the capability of VHTL to upgrade a variety of global crude oils and to mitigate many of the key process performance risks associated with building a commercial-scale plant. The data from development and testing will be used to produce commercial designs including a full FEED package for Tamarack in the Alberta oil sands and a BEDP for Dos Bocas in Mexico. Below is a 3D rendering of the 20,000 bpd Tamarack VHTL plant obtained from the detailed 3D model developed during FEED. Implementing VHTL in remote locations is a key component of FluidOil’s business strategy, and modularisation is a critical element and is fully incorporated into the cost estimate and the design plan for all VHTL projects. As examples, a 20,000 bpd VHTL plant can be fabricated from 65 modules weighing 150 tonnes each. These modules can be transported by truck to remote locations for hook-up and completion. 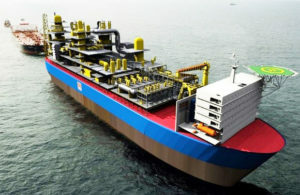 Alternatively, the plant could be constructed in five 2,000 tonne “super-modules” at coastal fabrication yards and carried offshore.